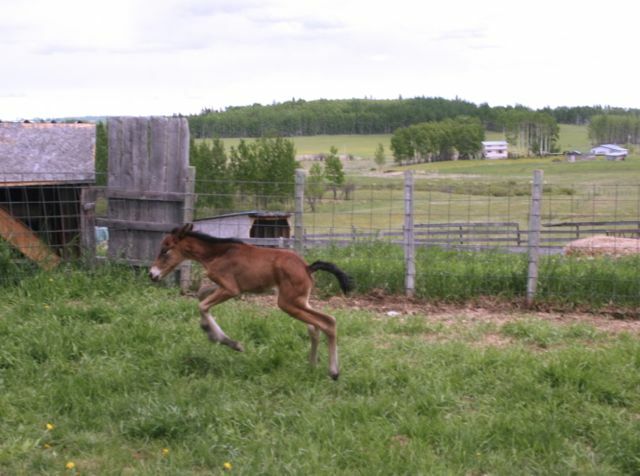 Every year at around this time we receive calls about young wild horses that have run into difficulty. In some cases the outcome is not always positive. 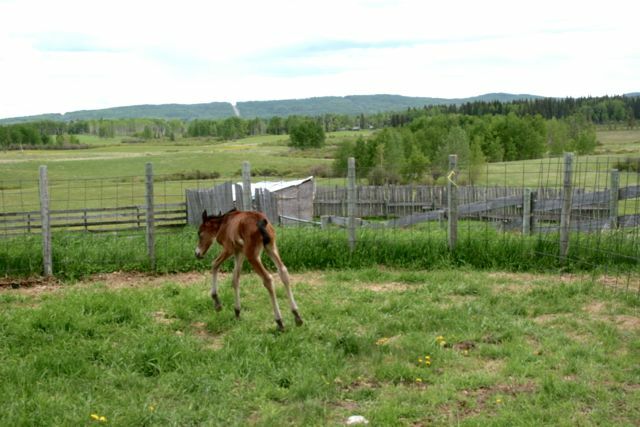 However, other young foals find themselves rescued by concerned individuals. We have reported this in the past, such as Wylie, River, Lucky and Gnu to name a few. 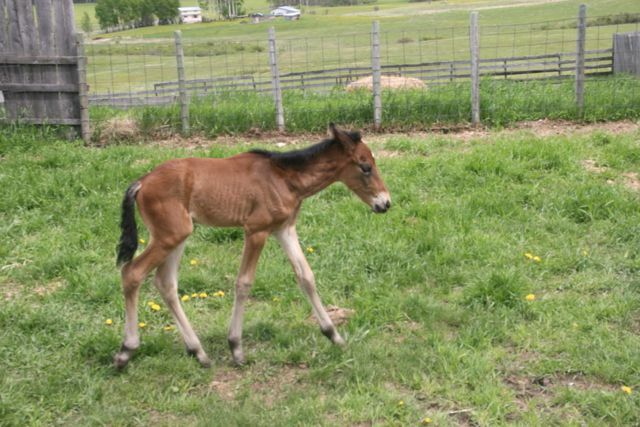 Such is the case as the young colt pictured above. Let us introduce you to Second Chance (Chance for short). He was found by his rescuers on May 27 abandoned by the herd and probably near death. Upon finding him a decision was made to try to save him and he was rushed to what is now going to be his new home to start receiving lifesaving care and attention. Since it was most likely he did not receive colostrum from his dam, this has been an uphill battle for his new mom, Tammy and her family. Tammy has been so diligent in assuring that the young boy received the proper nutrition and care. She would get up throughout the night to feed him his bottle and to bond with him. For such a young creature, this attention and bonding is vital to assure their chances of being a healthy foal. This is quite obvious in the picture we took of Chance on our visit, as he cavorted around his yard area. 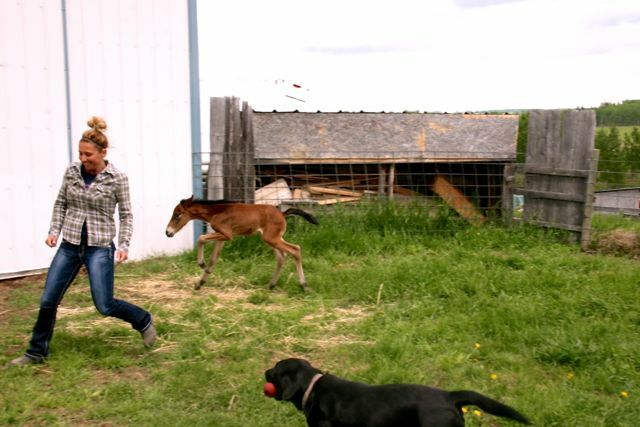 Tammy just has to call his name and little Chance whinnies and comes running to her. Here is Tammy, Chance and Bella, their black lab playing and exercising in the sunshine. When first found, the poor young thing had open wounds, his eyes were dull and he could only stand with help. It should be noted that a vet was called in to make sure that everything was properly taken care of to assure his wellbeing. 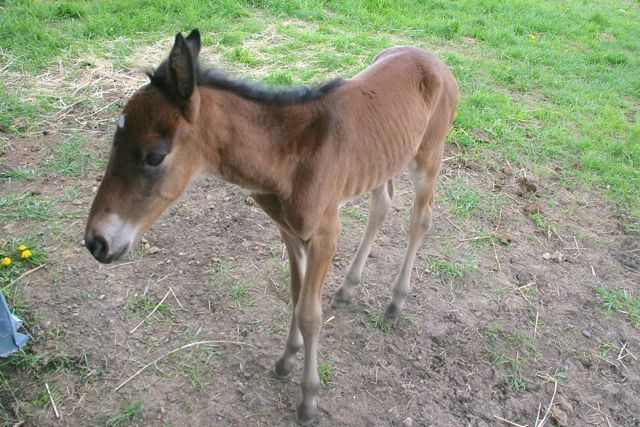 For those that wonder how this could happen, the first little while of a young wild foal’s life can be quite harsh. Some succumb to health problems and some to predators. In this case, however, we believe that what may have happened is that the mare’s herd was taken over by a new stallion. Sometimes when this happens, the stallion will not accept the male foal and will drive the mare away from it to ensure that only his genes survive in the herd. This may sound cruel to some, but it is the way of the wild horses and the way to make sure that only the strongest survive. This behaviour allows the wild horse herds to remain healthy and strong. We sincerely want to thank Tammy and her family for saving and giving a new home to this precious new life. 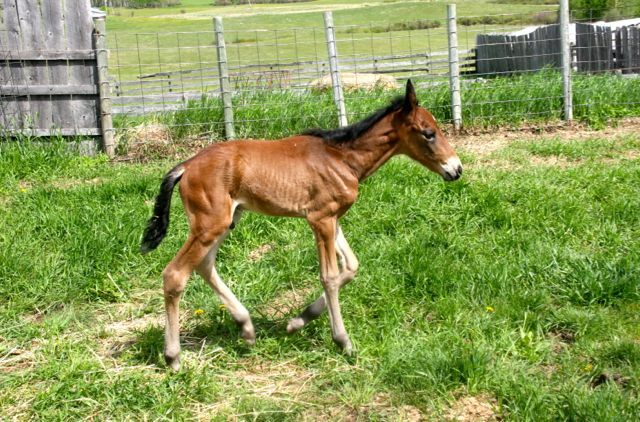 This touches my heart too Gale…thank you Tammy…for everything you have done for Chance…a new beginning for a beautiful foal..makes me feel so good inside. Truly making a difference. Kind, Generous folks reaching out and sharing their love for all creatures.